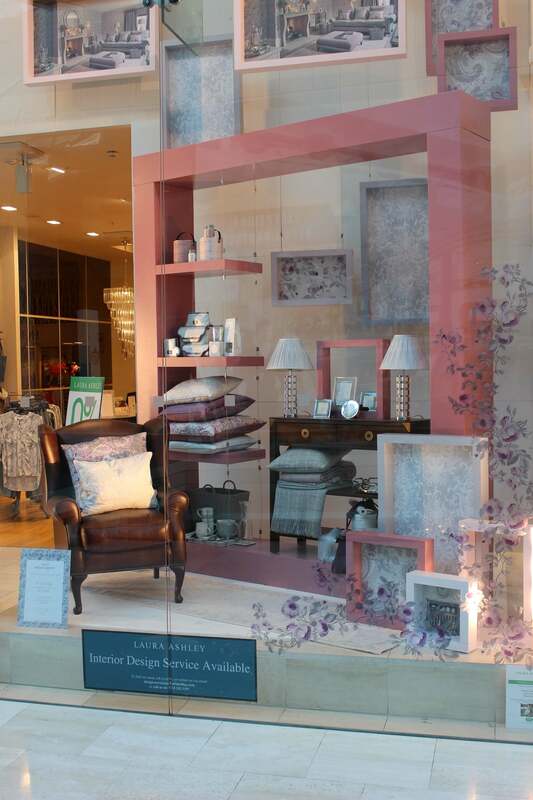 Hello Flamingo were delighted to be asked again by the creative team at Laura Ashley to collaborate with them on their new window scheme, launching in August 2016, which rolled out to stores across the UK and Europe. The inhouse Hello Flamingo design team created design concepts for all stores before progressing to prototypes and manufacture in our workshop. 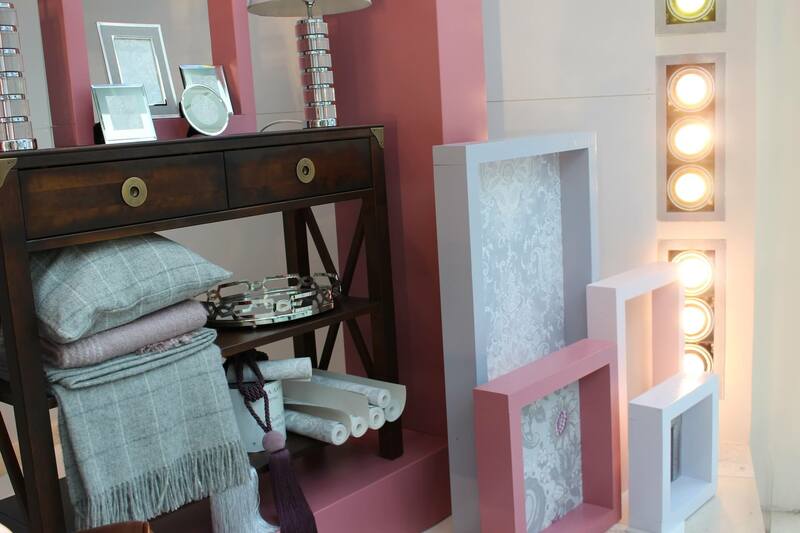 Almost 600 bespoke wooden picture frames were made and painted to match the season’s colour palette. 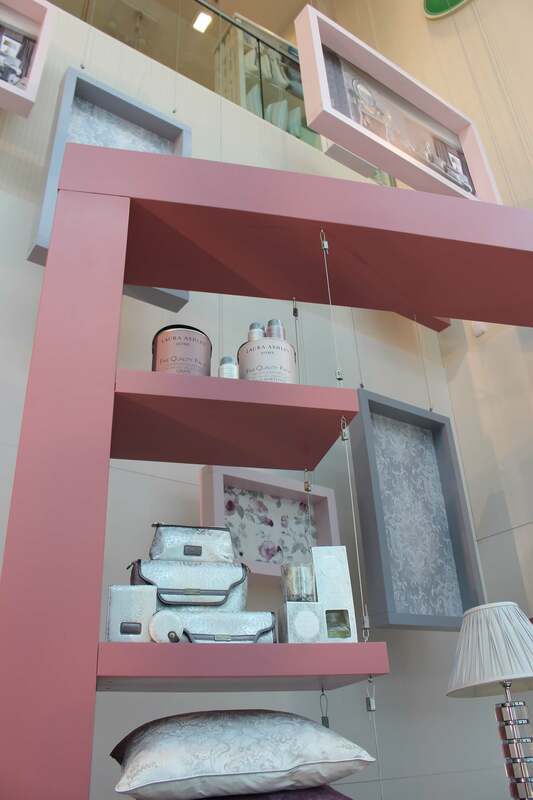 In some of the frames product was suspended and others had prints from the Laura Ashley wallpaper range. Window decals were provided to create a frame around the windows. 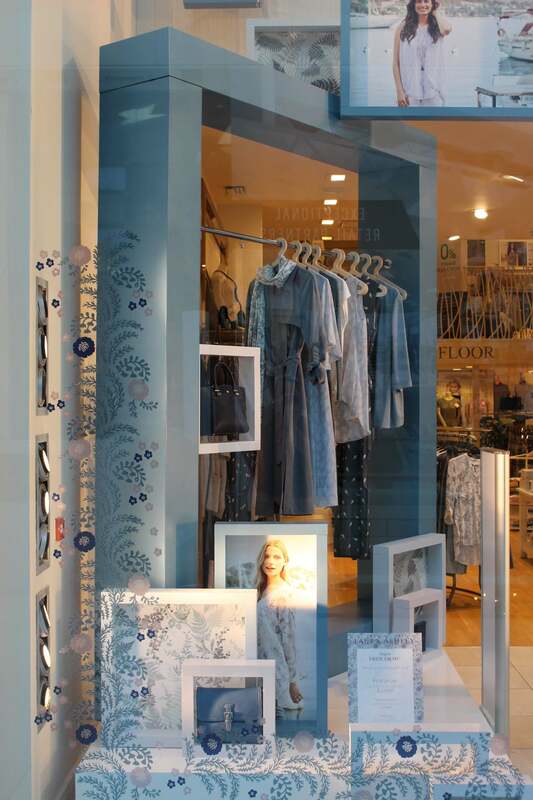 In the Westfield store, giant bespoke frames were made to display product and the rest of the window was filled with suspended frames. 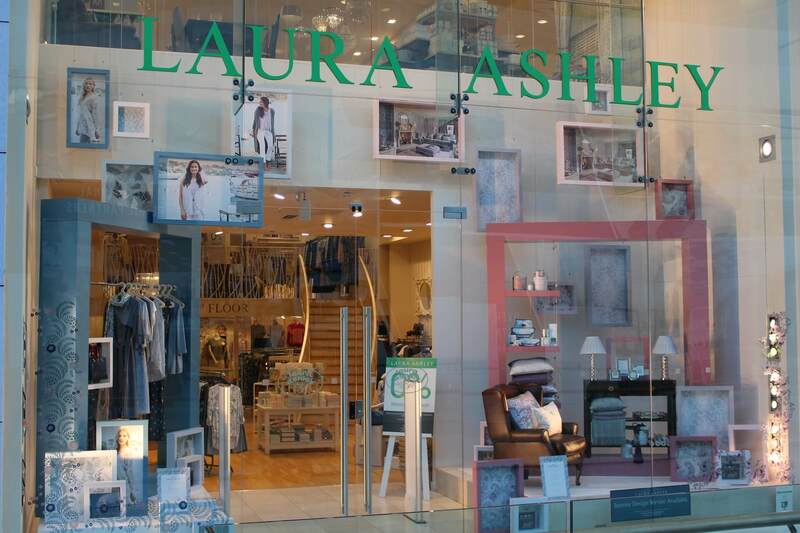 As always, it was a pleasure working with the Laura Ashley team to create these pretty windows.